Native to Colombia, Jose Miguel’s most recognised work for the Colombian Ministry of Defense has propelled him from advertising creative to cultural figure, having spoken and appeared across a variety of widely recognised platforms with mass audiences such as TED Global, NPR’s This American Life and WIRED. In December 2016, Emmy-award winning journalist Lara Logan interviewed Sokoloff for a feature profile entitled ‘The New Colombia’ for CBS News’ ‘60 Minutes’, one of the most successful broadcasts in the history of American television, which resulted in a 2017 EMMY nomination for “Outstanding Feature Story in a News Magazine”. Throughout the past decade, his work to demobilise the FARC Guerrillas of the Colombian jungles has been a powerful driver towards reaching peace in the country. The most successful campaigns, Rivers of Light and Operation Christmas, have connected Colombians in ways previously considered unimaginable, and have aimed to steer the nation towards an enhanced quality of life for all. 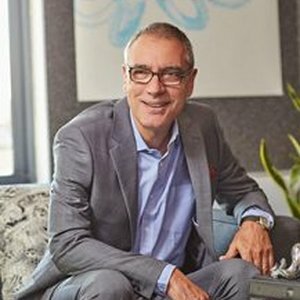 Jose Miguel’s responsibilities as Global President of MullenLowe Group’s Creative Council, involve leading the networks’ top creative talent to continued success for clients’ brands in addition to enhancing network integration, collaboration and growth. Under Jose Miguel’s creative leadership MullenLowe Group has been named a Cannes Top 10 and Gunn Report Top 10 Global Creative Network, No. 1 Creative Agency by WARC 100, and Unilever’s Agency of the Year.